In the history of firearms, many key dates and accomplishments stand out. Those on top of the list include the invention of gunpowder by the Chinese in the 9th Century, the first fire-lock or “rose lock” in the early 1500s, the German Mauser bolt action rifle in 1872, and in 1918 the Browning Automatic rifle made its debut. 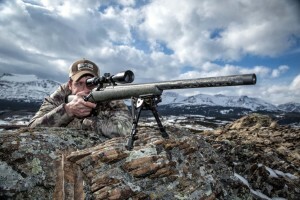 You can also add January 2011 to the list because that is when Jense Precision of Missoula, Montana and Lincoln, Nebraska-based Advanced Barrel Systems founded PROOF Research, a company that has sparked a revolution in how precision rifles and barrels are designed and manufactured. PROOF Research is dedicated to creating highly accurate, custom-made lightweight barrels and rifles using aerospace engineering technology, a patented carbon fiber wrapping process and a wealth of top tier talent and experienced staff, two of whom are Greg Hamilton and Norm Crawford. Hamilton, the weapons test specialist at PROOF Research, is a research and development guru with the knowledge, skill and competitive record that ranks him among the best in the world. Along with Crawford — a legendary Delta Force (1st Special Forces Operational Detachment-Delta) sniper, instructor and Long Range rifle champion — these two are part of an elite pro staff team that tests the products in competition and takes the results to the R&D test lab so the next generation of rifles and barrels can be refined. “At Proof Research, we’re proving that carbon fiber-wrapped barrels aren’t just a lightweight alternative to traditional steel barrels,” says Hamilton. In fact, the barrels provide superior performance, including extreme accuracy, unprecedented durability and increased barrel life, he says. “Our lightweight barrels run as hard as any steel barrel while reducing harmonic barrel vibration and improving heat dissipation, resulting in virtually no point-of-impact shift during high-volume strings of fire,” he says. To substantiate their sub-MOA claims, PROOF Research proves it by testing every rifle they sell using the Oehler 85 Professional Ballistics Lab System, which is the “gold standard of industrial and military testing,” says Hamilton. Crawford, already a multiple Long Range Rifle national record holder, set the bar even higher in late 2015 with back-to-back NRA 6-x-600-yard match wins, making him a co-holder of the Open and Senior National Records. He owns four Nesika K, and one Rem 40 actions, all in McMillan Baker Special stocks, and built by different gunsmiths. He’s currently using 32-inch Proof 308 and .284 Shehane chambered barrels on three of the rifles and a 30-inch .284 Shehane chambered barrel on the fourth one — an original PROOF barrel. His Jewel triggers are set at just over 1 pound. 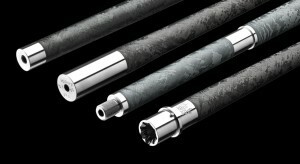 Three of the rifles are pillar bedded, and two have aluminum bedding blocks made for the Nesika Actions. 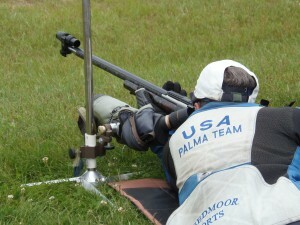 He believes some key differences in the carbon fiber barrels have given him a competitive edge, even at the most elite levels of competition. “Heat dissipation and the reduction in the harmonics, or barrel whip due to the stiffness the carbon fiber adds are key,” he says. “After a 25-shot string of fire in 17 minutes, you can hold the barrel. It’s uncomfortable, but it won’t burn you like a steel barrel will. You don’t have to work hard to find a load that will shoot through them,” adds Crawford. In the first .284 barrel, he shot Berger 180 Hybrid, 180 VLDs, Lapua 180s and Sierra 175 Match Kings and they’ve all shot extremely well with various power charges, he says. Hamilton points out that while he, Crawford and others on the Prostaff team are in the top tier of competitive shooters, 50 percent of those who buy PROOF products are hunters, and 50 percent are tactical consumers from SOCOM, he says. Just before his last match of 2015, Norm bore-scoped the barrel, which had 1,891 rounds through it; while indistinct, there were lands and grooves showing to within about 1/4- inch of the chamber. This compares to the two stainless barrels he shot out at 2,000 and 1,600 rounds that showed nothing forward of the chamber for two to three inches. With scores of 197-8X, 199-6X, 199-9X, 200-10X, 199-12X and 200- 16X at 600 yards (first three with iron sights, the last three with scope), Crawford also gives PROOF Research barrels high marks for barrel life and durability due to the rapid heat dissipation. He also has advice for potential buyers about various bullets he’s tried. 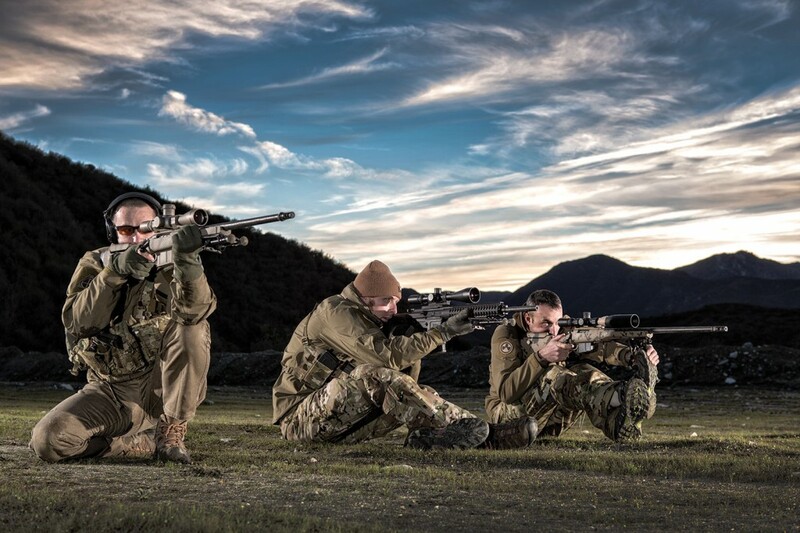 Ultimately, the proof positive for a competitor lies in consistency in the X ring; for the hunter, Special Forces operator or law enforcement sniper, it’s the dependable single-shot kill, even in the most rugged and intemperate environments. For any one of them, the single most important value to having a precision weapon that’s significantly lighter and more durable than conventional steel barrels or rifle systems, is the confidence that once on the X, it won’t require multiple elevation corrections… and hits exactly where it’s been placed on target, time after time. That is a firearms innovation revolution well worth joining.